Posted by: Ash on May 10th, 2015, in Guides. Tags: Amazon Rainforest, Lodges, Peru, Puerto Maldonado, Tambopata. Tours of the highly diverse Tambopata National Reserve are a very rewarding option for an Amazon tour. On Tambopata Reserve tours, you can find many clay licks, which large macaw parrots, tapir, and other animals visit to replenish salt and detoxify forest foods. The region contains more clay licks than other Amazon areas and increases chances of seeing predators like jaguar. 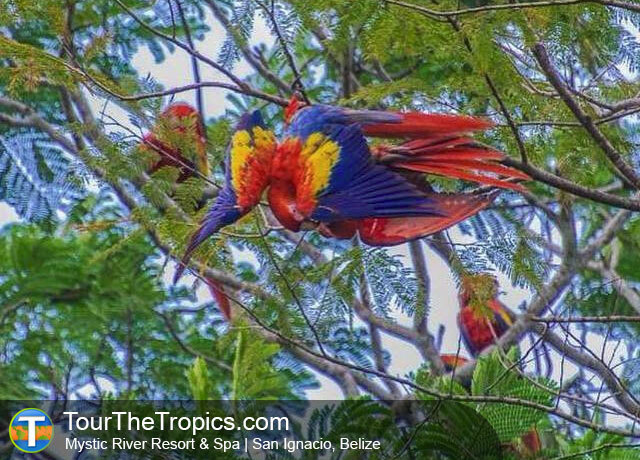 At clay licks, guests can see hundreds of colorful parrots and lodges usually provide hides where guests can get a better view without disturbing the birds. You will also take tours into the reserve to see different monkeys, birds, reptiles and amphibians. The monkeys living in the reserve often seen on Tambopata tours include howler monkeys, capuchins, squirrel monkeys, titi monkeys, and night monkeys. Other mammals seen include giant otters at various lakes, best seen from Sandoval Lake Lodge, and tapir, which are best seen at Heath River Wildlife Center. 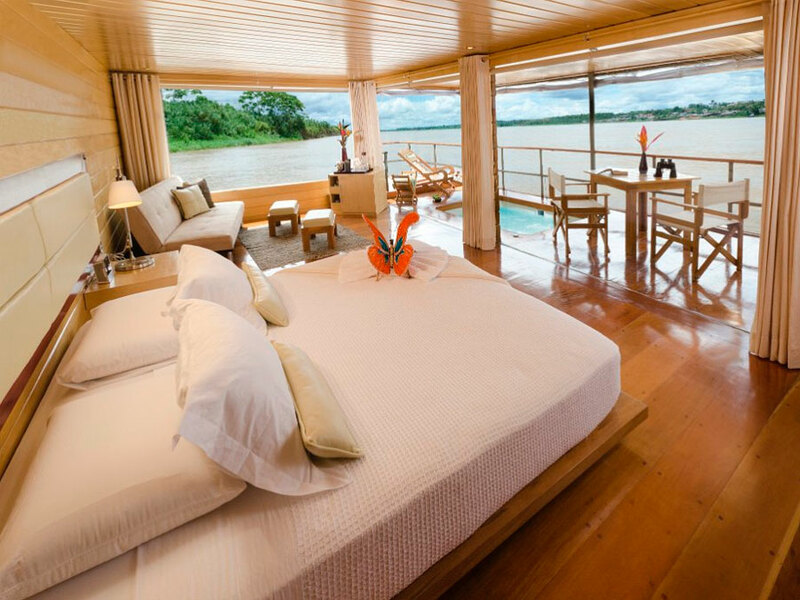 You can combine these two lodges for a fantastic Amazon tour, but more on this later. Tambopata National Reserve merges with the Bahuaja Sonene National Park in southern Peru and flows into Bolivia’s Madidi National Park. When taken together, this is one of the largest tracts of protected tropical rainforest at around 3.5 million hectares. 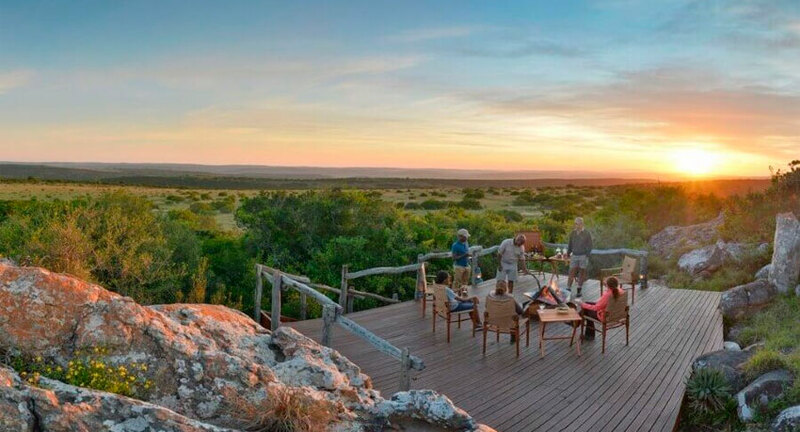 It is not surprising that this is also one of the world’s most wildlife-rich areas. The forest protects large carnivores like puma and jaguar, and many endangered animals like giant river otters, giant armadillos, black spider monkeys, pink river dolphin, anaconda, and yellow-headed river turtles. Because the protected areas are joined, wildlife is free to move between the Tambopata, Bahuaja Sonene, and Madidi zones. 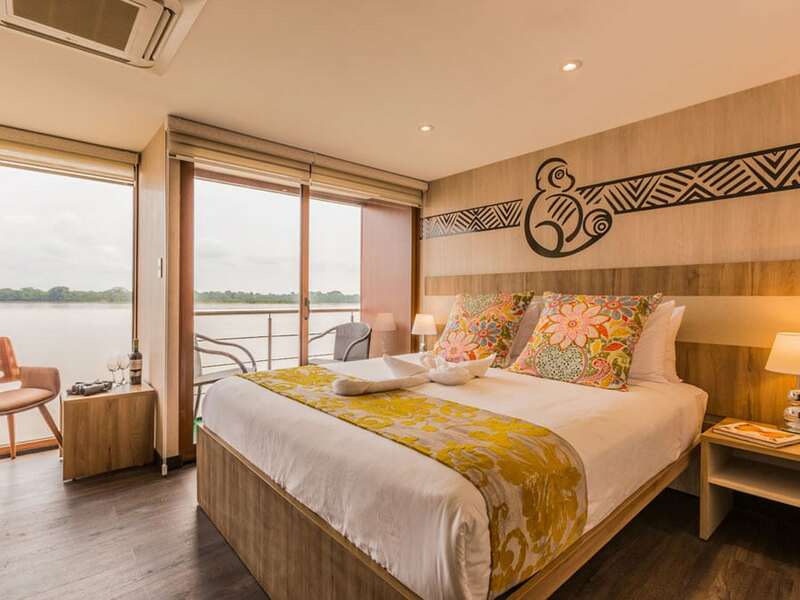 We have selected the top tours for Tambopata National Reserve that provide comfort in the Amazon, incredible wildlife experiences and a responsible take on tourism. Some of the tours are located within the Tambopata boundary of this vast protected area, such as Sandoval Lake Lodge, Refugio Amazonas Lodge and Tambopata Research Center, while another, the Heath River Wildlife Center, is located at the edge of Tambopata between the Tambopata National Reserve and Madidi National Park, which is the only lodge in this section of the protected area. The tours selected offer different experiences. For example, if you are interested in a short Amazon tour with abundant wildlife to compliment your time before or after Machu Picchu, our personal favorite is Sandoval Lake Lodge. From this lovely lodge at the lake’s edge, you will head out from early morning to spot Amazon lake wildlife, such as the resident giant otters, several different monkeys, including the large howler monkeys, chance sightings of sloths, and giant arapaima and caiman. 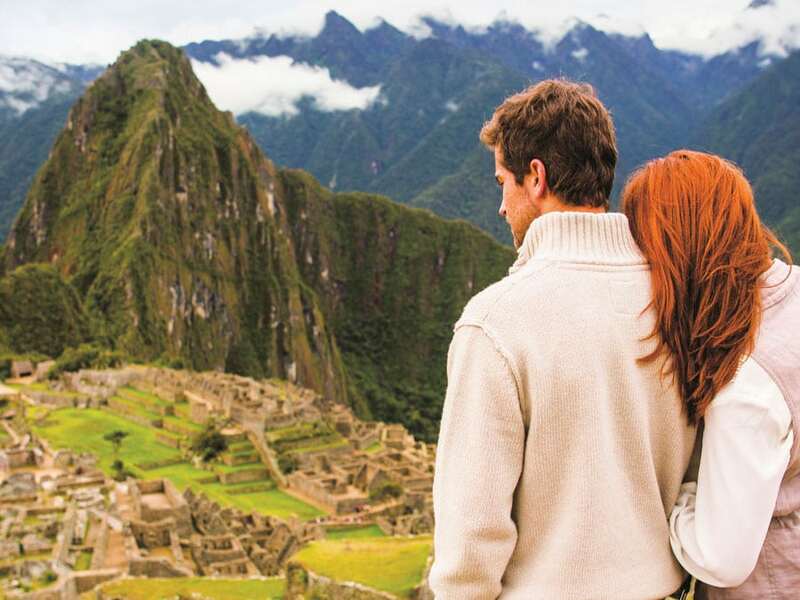 If you haven’t booked your Machu Picchu tour, you can combine these experiences on the Machu Picchu and Amazon package program mentioned in our Amazon package tours. 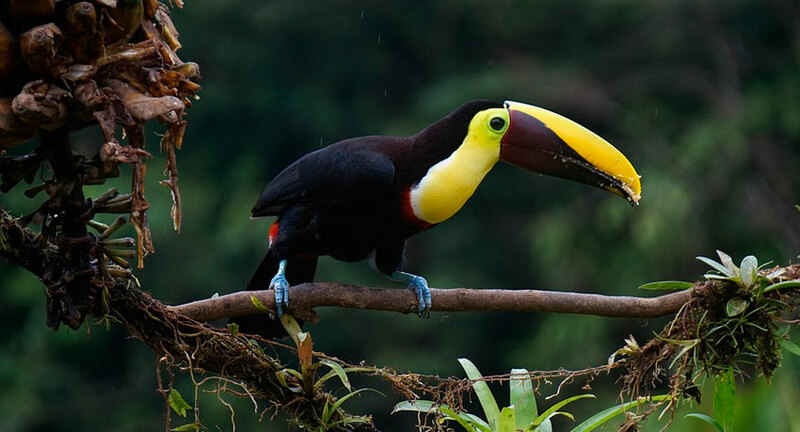 The following tours are from our list of top Tambopata Amazon lodges to see incredible wildlife. If you would like a short tour with more of an Amazon forest experience complete with spa treatment and massages, a canopy tower to view rainforest birds etc. and a children’s trail (unique in the Amazon Rainforest) then you should choose the Refugio Amazonas Lodge. The lodge also offers additional activities like canopy climbing, kayaking, and visits to a parrot & parakeet clay lick. The monkeys you can see at Refugio include titi monkeys, howler monkeys, squirrel monkeys, capuchins and tamarins. Recently we have also found some active nests of harpy eagles in the area, so make sure to ask if new nests have been found. Guests traveling deep into Tambopata for a tour from Tambopata Research Center will also visit the Refugio for a night. A similar experience to the Refugio Amazonas is also offered from the community-owned Posada Amazonas Lodge. 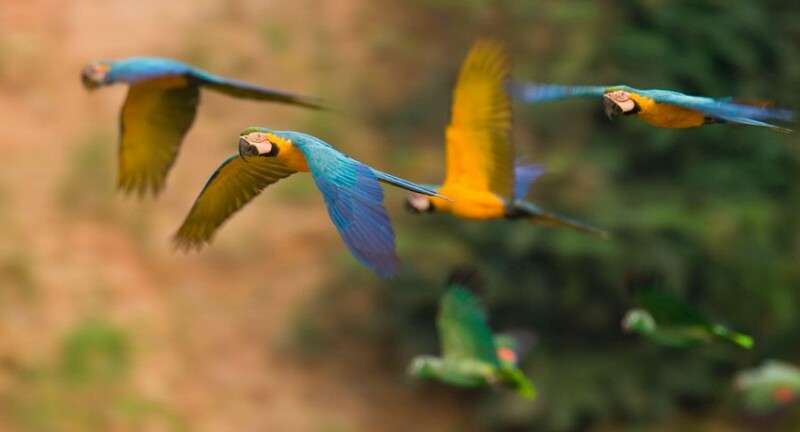 The Tambopata Research Center is one of our best places to see macaws in Peru as the lodge is located very close to one of the largest macaw clay licks in the Amazon. 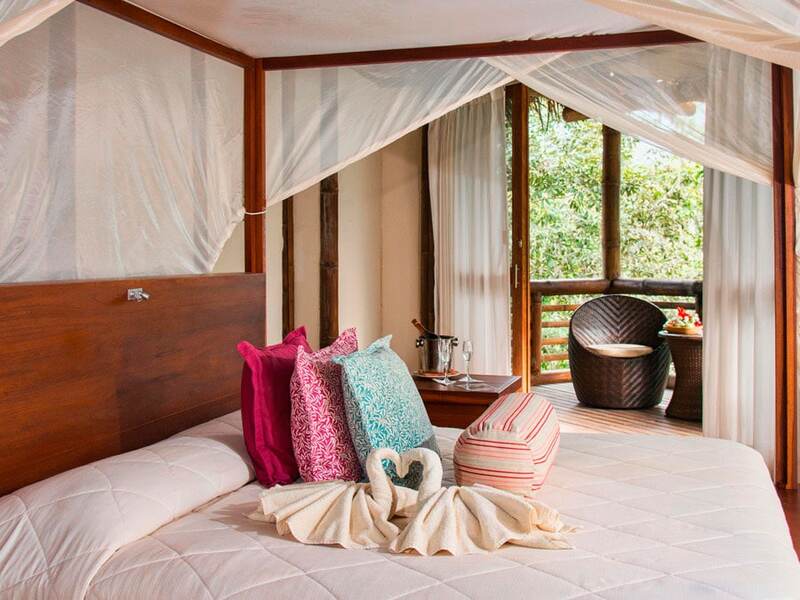 This is the deepest lodge in the Tambopata National Reserve and ideal for nature lovers or adventure seekers. From the lodge, you will head out with expert and highly knowledgeable guides to find several different monkeys, including spider monkeys, and hopefully some of the rarer Amazon wildlife. Because this is a deep Amazon lodge, sightings of larger Amazon wildlife are more frequent. The Tambopata Research Center should be your top choice if you’re searching for a deep Tambopata National Reserve tour. Although not located inside the Tambopata National Reserve, another deep lodge in the area to consider from Puerto Maldonado is the Heath River Wildlife Center. This lodge is located at the edge of Tambopata between the Madidi National Park in Bolivia and the Tambopata National Reserve in Peru. From the lodge you have access to an excellent large macaw clay lick where you can take amazing photos (due to the floating hide used to view the macaws) and a tapir lick to see the Amazon’s largest land mammal. From Heath River Wildlife Center, you will head out with your professional Amazon guide to spot many different animals like several different monkeys, colorful birds, and reptiles and hopefully some larger wildlife like anteaters, spider monkeys and capybara. Similar to the TRC above, sightings of larger animals are more frequent at these two deeper lodges. For a fantastic experience of the Amazon Rainforest, you can combine this lodge with Sandoval Lake Lodge mentioned higher up the page. At Sandoval, you can find Giant Otters, Monkeys and Caiman then visit Heath River Wildlife Center to see Macaws and Tapir at the clay licks.